The Killing Game by The Black Rose - Blurb Blitz - Giveaway - Enter Daily! Hi lovelies! 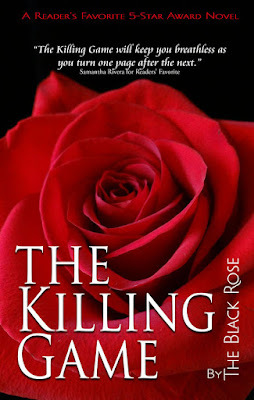 It gives me great pleasure today to host The Black Rose and her new book, “The Killing Game”! For other stops on her Goddess Fish Promotions Book Tour, please click on the banner above or any of the images in this post. Be sure to make it to the end of this post to enter to win a $10 Amazon or Barnes & Noble Gift Card. Also, come back daily to interact with The Black Rose and to increase your chances of winning! The series opens as Ives Andrich, Special Agent in Charge of the New York Division of the FBI, is confronted with investigating the woman he has waited a lifetime to find. Because of her more than accurate novel about an Italian crime lord, the Bureau, against Ives' wishes, asks for her help in infiltrating the internal organization of the nation's most nefarious Mafia don. When the Bureau’s plan fails, and she becomes dangerously entangled in the private life of the United States' most wanted criminal, Ives’ tolerance for Bureau mishaps vanishes. No holds barred, he puts everything on the line to save the woman he loves in the first book in The Killing Game Series, a suspense thriller series by The Black Rose. Sparducci swore at Ives in Italian, hurling curses at him as if that could change the situation. With his left hand, he desperately held his right hand as his blood seeped faster from the wound Ives’ round had left in it. The initial pain must have been excruciating, as injuries to extremities usually are. Now Sparducci was quiet, but it was not because he had nothing to say. He was losing blood profusely and within minutes, if his wound was not wrapped properly, he would be in the first stage of shock; the growing numbness in his hand indicated this. Ives pulled a handkerchief from his pocket. Being careful not to step in Sparducci’s blood, which had comingled with the dead man’s blood puddled on the floor, Ives stooped down to Sparducci who sat staring at him, as his injured hand was completely dead to him now. Setting his pistol a safe distance from Sparducci’s grasp, Ives lifted Sparducci’s right hand to examine his wound. And though Ives meant to help Sparducci, Sparducci tried to push him away with his left hand. “Do you want to bleed to death?” Ives asked. When Sparducci lowered his left hand, Ives continued. Turning Sparducci’s right hand palm up, he saw that the round had sliced through Sparducci’s flesh, tearing apart nerve, tendon, and muscle between the index finger of his right hand and its thumb, luckily missing the metacarpals. Shaking his head at Sparducci’s stupidity, Ives wrapped the handkerchief around Sparducci’s hand. Taking Sparducci’s left hand, he closed it around his right hand, showing him where to apply pressure in order to help the stop the bleeding. “How would I know?” Sparducci stated sarcastically. “He was supposed to meet you here. So where is he?” Ives asked. “Are you sure your information’s right?” Sparducci asked. “Where is he?” Ives asked, obviously irritated at this cat and mouse game Sparducci played with him. “I dunno,” Sparducci answered in a slightly anxious and elevated tone. Ives picked up his pistol, stood, then stared down at him. As he spoke, he waved the pistol slightly. Still, Sparducci shook his head. “I dunno. It’s the truth. I haven’t seen him in a week,” he answered, secretly wondering if Ives would shoot him again. For more information on The Black Rose and The Black Rose NYC brand, visit the links below! The Black Rose will be awarding $10 Amazon or Barnes and Noble GC to a randomly drawn winner via Rafflecopter during the tour. 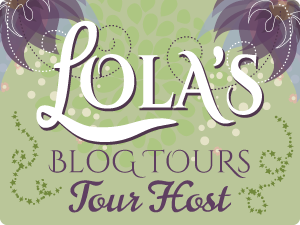 The Mirror of Doom by Bailey Baxter - Book Tour - Guest Post - Giveaway - Enter Daily! Hello lovelies! It gives me great pleasure today to host Bailey Baxter and her new book, “The Mirror of Doom”! For other stops on her Goddess Fish Promotions Book Tour, please click on the banner above or any of the images in this post. Be sure to make it to the end of this post to enter to win a $25 Amazon or Barnes & Noble Gift Card. Also, come back daily to interact with Bailey and to increase your chances of winning! What would you do if you got stuck in another world? 12-year-old Tim Hunter and his two older siblings panicked. Just a little. (Can you blame them?) Unfortunately, the only way they can return home is to steal a magic mirror from an evil queen. Yes, that’s right. Evil! To make matters even worse, enemy soldiers, horrible creatures called galrogs, and even a dragon will do anything to stop them. Do they have what it takes to make it home alive? There’s one way to find out. This fun, fantasy-adventure for middle-grade readers is available on Amazon.com. What’s Keeping You From Pursuing Your Dreams? Come on… you know you have them. Deep down inside, you feel like there’s something you were “made” to do. A purpose only YOU can fulfill. But things get in the way, don’t they? One of my dreams – my desire to be an author – goes way back to my childhood. Oh, I toyed with other career ideas – like being a nurse or a pirate. But I can’t stand the sight of blood – and I never could get behind senseless pillaging – so I kept going back to my true love. But here’s the thing. I let my brain get in the way. Back in that day, self-publishing was not even an option. You had to go through traditional publishers and agents. And the chance of your manuscript being accepted was small. Even worse, I remember reading at the time that only 20% of authors could survive on the money produced by their books. Just 20%! That meant I had an 80% chance of failure. Those odds were unacceptable to me. So, I put my dream of writing books on hold. Like a dutiful, responsible daughter, I followed my parents’ advice and studied business and marketing in college. I took jobs supporting computers, working at a bank, and managing an accounting office. But the whole time, I was unsatisfied and unfulfilled. I even became a freelance copywriter, which allowed me to write for a living. And it wasn’t enough. Look, I’m not going to say pursing your dreams will be easy. Frankly, it was quite the opposite for me. I worked for more than 10 years (on and off) on my first book, “The Mirror of Doom.” That meant I sacrificed my free time during lunch hours, nights, and weekends to make it happen. I just want to encourage you. I don’t know what your dream is. I don’t know what obstacles stand in your way. But take steps toward fulfilling it today. It doesn’t matter if all you can manage are baby steps. Just keep moving in the right direction. And one day, you will see everything fall into place. You, too, will see a dream come true. He would, too. But I wasn’t about to give him the chance. I turned and threw myself against that mysterious closed door, giving the glass knob a big twist. It opened suddenly, and I found myself stumbling forward into a dark room. Quickly regaining my balance, I shoved the door closed. It took a bit of fumbling in the darkness, but I found the key and quickly turned it. Locked. And just in time, too. “Timmy, open this door,” Ron said. Oh, I understood all right. But come on! Kat’s diary was usually guarded more closely than Fort Knox. This could be my ONLY opportunity to see what’s inside. I’d be crazy NOT to read it! I slid the little book out of my pocket and stretched out my other hand to feel for a light switch — and froze, my heart pounding. I heard a noise. It sounded like a footstep. And it seemed to come from inside the room. Bailey grew up in Ellington, CT – a small town where cows outnumbered people 2 to 1. She currently lives in Asheville, NC with a mischievous Shih-tzu named Lucy. Fortunately, Asheville is weird - and proud of it - so it gives her plenty of inspiration and plot ideas for new books. 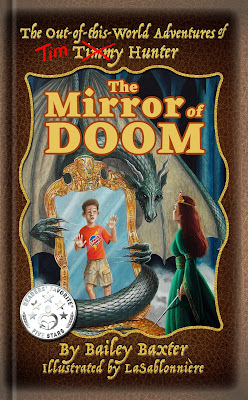 Her first book, The Mirror of Doom, was inspired by a certain pesky brother named "Jimmy" and the childhood desire to find a wardrobe to a place like Narnia. Bailey Baxter will be awarding a $25 Amazon/BN to a randomly drawn winner via Rafflecopter during the tour. 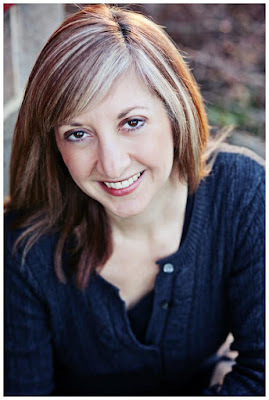 Sarah by Teri Polen - Book Tour - Giveaway - Enter Daily! Hi lovelies! 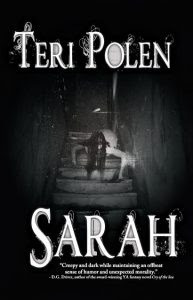 It gives me great pleasure today to host Teri Polen and her new book, “Sarah”! For other stops on her Goddess Fish Promotions Book Tour, please click on the banner above or any of the images in this post. Be sure to make it to the end of this post to enter to win a $25 Amazon or Barnes & Noble Gift Card. Also, come back daily to interact with Teri and to increase your chances of winning! Terrified of what could have happened when he wasn’t in control, Cain commands Sarah to leave his house - but exorcising her isn’t that easy. She retaliates against her murderers in bloody, horrific ways, each death making her stronger, then sets her sights on Cain. With the help of friends, Cain fights to save himself and his loved ones and searches for a way to stop Sarah before she kills again. Squatting down to sort through the box, my elbow nudged one of the balls and it bounced across the floor a couple of times before I stopped it. When I picked it up to toss it back in the box, I noticed a splotch of red on one side. It was glistening, like the spot was wet, and after running my finger across the ball, I brought it closer for a sniff. I knew that smell. With the multitude of soccer injuries I’d received over the years, the copperish tangy aroma of blood was all too familiar. Wait – blood? Was Eby injured somewhere up here? But I’d looked around and knew for certain he wasn’t here. Had I stepped on something and cut myself? When I looked down to check my feet, that’s when I saw it. A circular pool of blood on the floor about a foot in diameter. How had I missed this? It hadn’t been here when Finn and I were looking around last night. One of us would have noticed this. So how did blood get here in the past twenty-four hours? Then I felt it. Frigid air wrapped itself around me, like it was a living, breathing entity, causing me to gasp. When I let out a shaky exhale, I could see my breath. In a 90 plus degree attic. My gaze shot down to the floor where the blood had been. 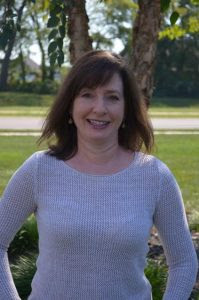 Teri Polen loves horror, sci-fi, and fantasy books and movies. She fangirls over The Walking Dead, Harry Potter, and anything Marvel-related. She lives in Bowling Green, KY with her husband, sons, and black cat. Teri Polen will be awarding a $25 Amazon/BN to a randomly drawn winner via Rafflecopter during the tour. Wet by Ashley Bostock - Blurb Blitz - Giveaway - Enter Daily! Hi lovelies! It gives me great pleasure today to host Ashley Bostock and her new book, “Wet”! For other stops on her Goddess Fish Promotions Book Tour, please click on the banner above or any of the images in this post. Be sure to make it to the end of this post to enter to win a $20 Amazon or Barnes & Noble Gift Card. Also, come back daily to interact with Ashley and to increase your chances of winning! I’ve always been, Miranda Phillips, the town pariah. Growing up with neglectful parents, having sought attention from all the guys that were willing to give it to me, I wasn't the most well-behaved kid in Lone Star. Killing an entire pond of Mrs. Potter’s fish when I was sixteen is one of many juvenile delinquent acts I’ve done in my past. Even though I’ve successfully avoided her for two months, I haven't forgotten how she tastes or what she feels like in my arms. And when I get sent a mysterious letter from some company wanting to buy my thousand shares of water rights that have been in my family for over a hundred years, I’m convinced that there is no one…err, better equipped, to help me than Lone Star's only reporter, Miranda Phillips. I know how desperately she wants me and this letter gives me all the reason I need to spend one night with the girl from the wrong side of town. One night in exchange for her tight investigative skills. And believe me, she's tight, in more ways than one. One night. Because Miranda is trouble and being on the city council, as well as guardian to my younger brother and sister, means I can't afford trouble. Yes, I was more attracted to Miranda than any other female I had ever come across, but that didn’t make her girlfriend material. How do I explain all of that to a thirteen-year-old girl? Besides, even though I had a strict no-dating rule for their young ages, I didn’t want to hurt Brianna’s feelings by allowing her to think the boy she was so infatuated with didn’t share her feelings. She was my sister and as cute as she was now, she was going to grow up and become a real heart-breaker. I was fucked. What in the hell do I do? I lifted my head and asked her to sit down. Somehow I’m going to regret this later. Not much later. Was I seriously having this conversation with my thirteen-year-old sister? 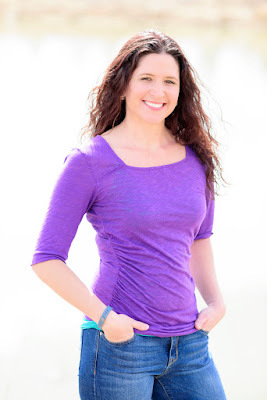 Ashley Bostock was born and raised in Colorado where she currently resides with her husband, two children, her dog and two cats. She loves reading, writing, and music and is always trying to find more time in the day to incorporate all three. 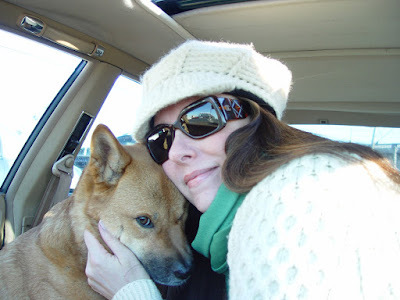 Seeking an outlet and pursuing her life-long passion for writing, she began composing her first novel in late 2013. She has traveled all over the world, but still has an extensive list of places she would love to visit. Anywhere near a sky-blue ocean will always be at the top of that list. Ashley Bostock will be awarding $20 Amazon or Barnes and Noble GC to a randomly drawn winner via Rafflecopter during the tour.